The liver is both the central metabolic organ and largest gland of the body. Its most important tasks are the production of life’s essential proteins, the utilisation of food components (e.g. 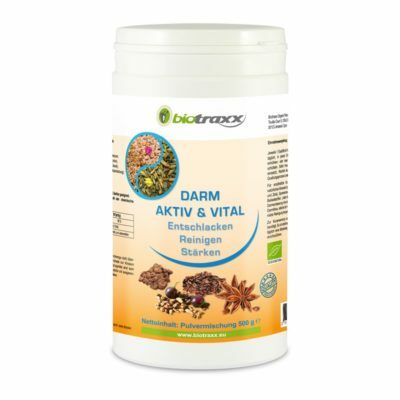 the storage of glucose, iron and vitamins) and the reduction and elimination of metabolite, medicines and toxins. In spite of the liver’s good recovery ability, this life essential organ should be freed and vitalised through a Liver Cleanse protocol. 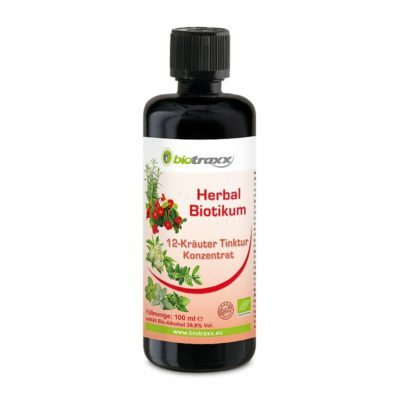 The 10 healing herbs of the Biotraxx intensive protocol have been created from an old recipe into a highly effective concentrate which noticeably strengthens relief and regeneration. After the successful completion of the liver cleanse you will feel much better and have a higher concentration and performance in your daily routine. You will feel great. However, it is recommended to begin the liver cleanse once the colon and kidney cleanses have been completed. Although the colon cleanse from the Robert Grey protocol does partially reduce the liver of toxins etc, the liver cleanse is more effective due to its ability to absorb the toxins that have been eliminated from the colon and kidneys. This protocol is not suitable for pregnant and nursing mothers or small children. 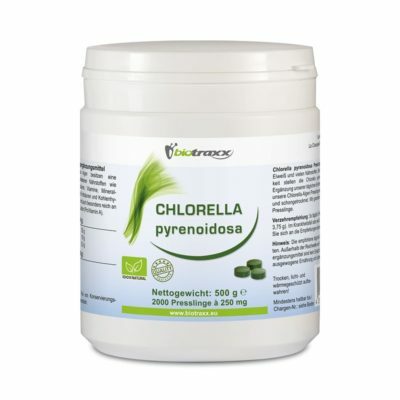 300g Chlorella capsules: This genus of single cell green algae is also known as a’polution absorber’. 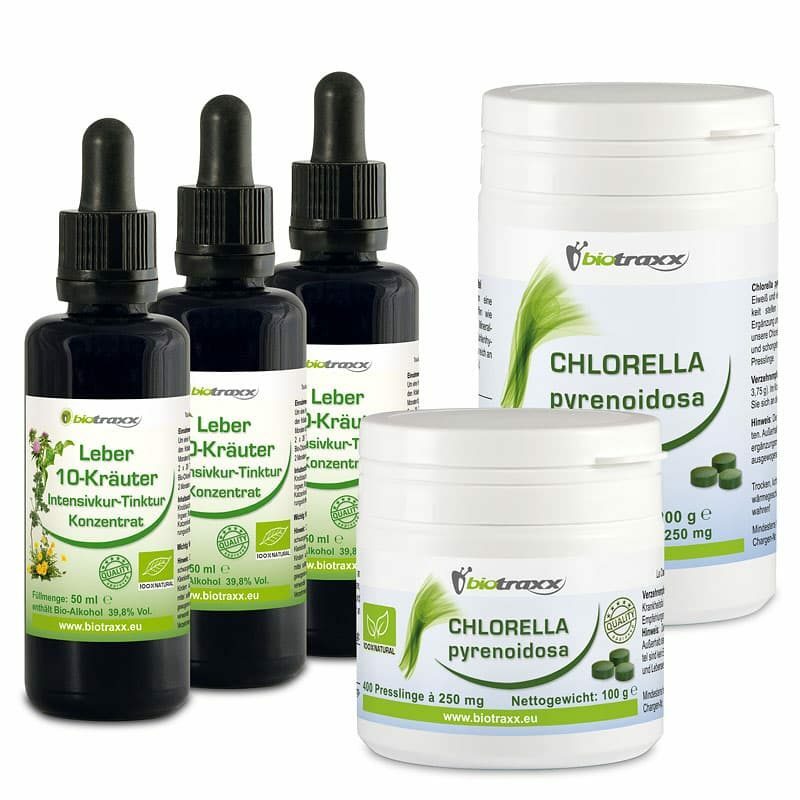 Chlorella Algae are able to bind and absorb environmental toxins and heavy metals like no other food. 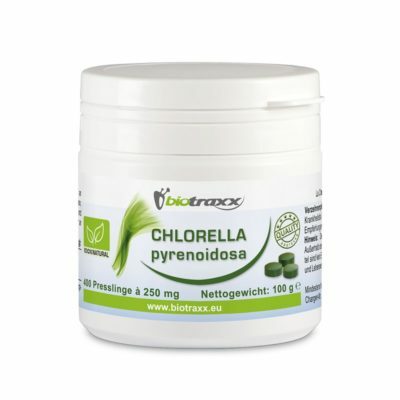 Because of this property we often see Chlorella being used by therapists. In our Biotraxx liver cleanse standard pack, the chlorella aglae also absorbs the released toxins of the body which are then eliminated through the body’s digestive system. This intensive protocol pack contains 3 x 50ml liver 10 healing herbs concentrate tincture (150ml), 1200 Chlorella capsules @ 25mg each and 1 instruction leaflet. This intensive protocol lasts for 2 months. All necessary ingredients are included in the protocol pack to complete this program. 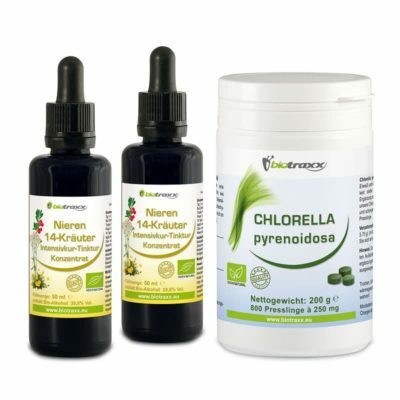 Dosage: 2 x 20 drops daily of the 10 herb intensive concentrated liver cleanse tincture as well as 2 x daily 7 Chlorella capsules for the whole of the 2 months. Take all the Chlorella capsules until they have been completely used up. All healing herbs used have been grown organically. Before this Liver cleanse protocol it is recommended to complete our Parasite cleanse protocol. The application of this liver supplement does not replace a health practitioner or doctor. By serious discomfort or disease, please contact your health practitioner or doctor.